I began learning to play the bagpipes about two and a half years ago. Until then I didn’t know anything about the music or the Great Highland Bagpipes except that the sound stopped me dead in my tracks whenever I heard it. Two memories of hearing solo pipers stand out for me. I heard them in the woods above campus about dusk once when I was in college. I followed the sound until I caught a glimpse of the player. I didn’t want to intrude but stood and listened as it got dark. The next time I heard them, years later, was at a friend’s wedding in New England. The guests sat in the pews of a small chapel. Suddenly from above and behind us, on the balcony, the bagpipes exploded in sound that resonated throughout the church and all appurtenances thereto, including my whole body. I can still feel the chills that ripped through my stomach and chest from the harmonic overtones of the drones and the high-pitched melody – almost a sidelight to the sound of the drones. As a lifelong musician, I thought learning the pipes, when I finally decided to try at age 45, would be pretty simple. I could sight read fairly well, and once I learned that the scale contained only nine notes (from low G to high A), I began picturing myself as a sudden sensation. My wife got me a book and a practice chanter, which is what you learn the music on before you actually start messing with the ungainly creature itself. 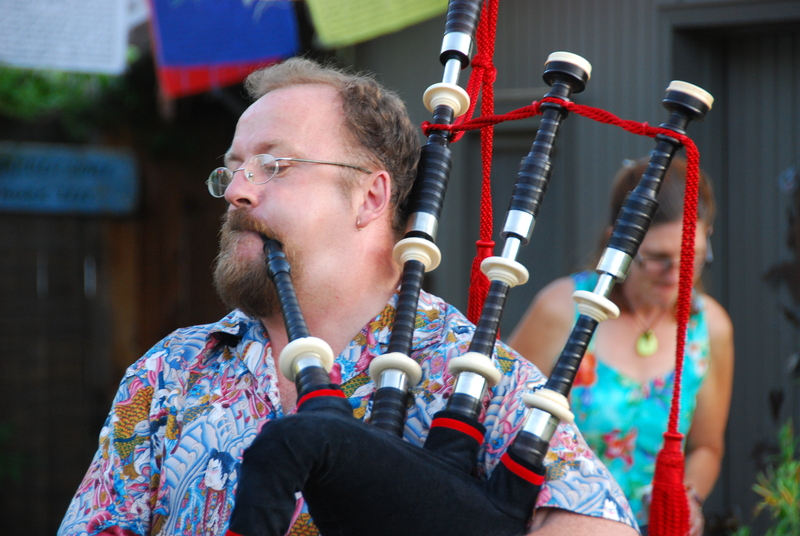 The practice chanter is similar to a recorder or straight flute or penny whistle but it has a plastic reed in it. Once I looked at the book and tried to follow it, though, I realized I could not do it myself. Although the melodies of the music are pretty simple, what’s hard are the embellishments between the melody notes. They involve precise and extremely rapid technical movements that require someone to physically show you how to make them. These embellishments have names like “throw on D,” “double E,” “grip,” “strike,” and a host of Gaelic-named ones like “toarluath” (too-ra-loo), “leumluath” (loom-a-loo), and “crunluath” (croon-a-loo). None of these is easy to play; the crunluath, for example, involves a series of seven notes played in the blink of an eye. After arguing with John McDade, the proprietor of Wee Bit of Scotland, who was a grumpy, bearded Glaswegian, and the only bagpipe instructor I knew of in town, I finally convinced him to give me lessons. Through the months of learning the rudiments in his small shop I started to get it, and ordered my pipes. One of the most important things I’ve learned about bagpiping is patience. Patience with yourself. Progress is slow and requires absolutely religious practice because any backsliding sends you quickly back down the hill. I learned that the hard way when I took up the guitar – another long-time dream of mine. I kind of went through the motions and stopped practicing the pipes every day (because I was practicing guitar), and finally got to the point where I sucked so badly that I almost shamed myself into getting back into it. I say almost because what really got me back into it was almost a fluke: I had a CD in my truck that I kept listening to one week when the local NPR station was doing its fund raising crap. 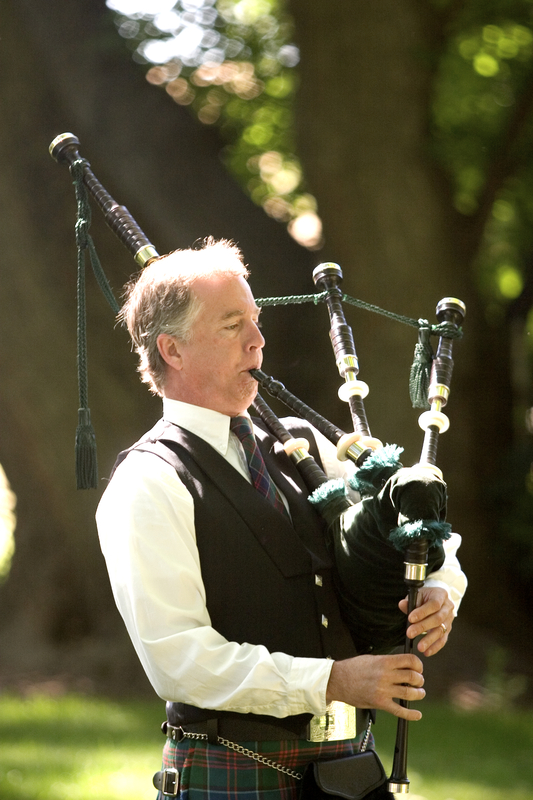 It happened to be a recording of piobaireachd tunes by a piper named Andrew Wright, who is now the emeritus president of the Piobaireachd Society. The first tune on the CD stood out and I began listening only to it: Lament for the Son of King Aro. I finally got around to looking for the sheet music, but could not find it anywhere. Then it became an obsession. I ended up writing to Andrew Wright to see if he would send me the music so I could learn it. I just received word that he is in the process of getting it to me. In the meantime, I have begun working in the Piobaireachd Tutor, the instruction book from the College of Piping. And because the tunes are quite long – sometimes twenty minutes or more – and feature notes held a long time, requiring very steady and strong blowing, I have started playing the pipes for an hour or more each day. Soon I hope to be back up to the level I was at over a year ago when I was practicing two or more hours each day. Structurally, piobaireachd is a theme and variation type of composition, and fairly uninteresting at that as the variations follow a pretty set pattern of increasing complication, followed by a restatement of the theme (“urlar”). But for compositions involving only nine notes within a very strict structure, they are remarkably different from each other. 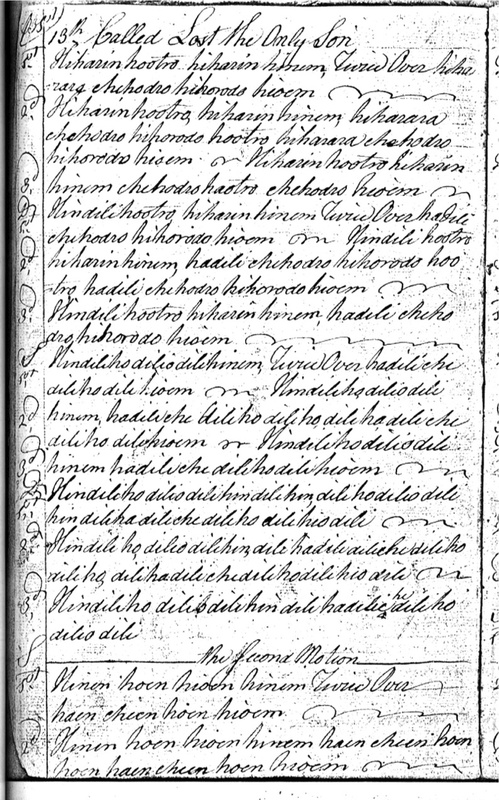 The earliest known piobaireachd composition is suspected to have originated about 1411 (Lament for Red Hector of the Battles), although there appears to be a great deal of controversy about the history of this music. Ultimately, the bagpipes became associated in the popular imagination as an instrument of war, with numerous films depicting them as a pre-nuclear form of “shock and awe,” which they indeed are when a massed band of pipers and drummers bursts on the scene. But this image and that sound, while definitely stirring, do not do it for me. This entry was posted on Wednesday, December 30th, 2009 at 12:14 am	and tagged with bagpipe music, ceol mor, piobaireachd, Scottish classical music and posted in Piobaireachd, Scottish culture. You can follow any responses to this entry through the RSS 2.0 feed.